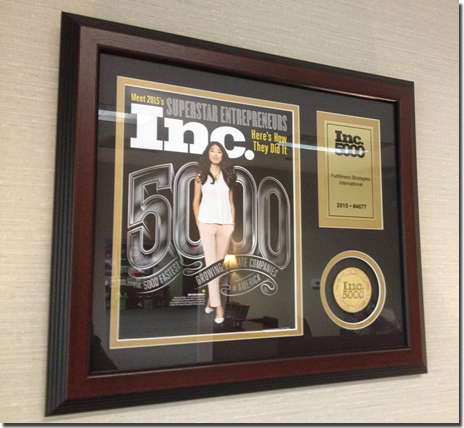 For the 2nd 3rd 4th 5th 6th 7th year in a row, Inc. magazine ranked FSI among the top 5000 fastest growing private companies in America in its exclusive annual Inc. 5000 list. The list represents the most comprehensive look at the most important segment of the economy—America’s independent-minded entrepreneurs. Companies such as Intuit, Zappos, Under Armour, Microsoft, GoPro, Timberland, and many other well-known names gained early exposure as members of the Inc. 500|5000. The 2015 list added such powerhouses as Fitbit, Smashburger, Planet Fitness and Radio Flyer. 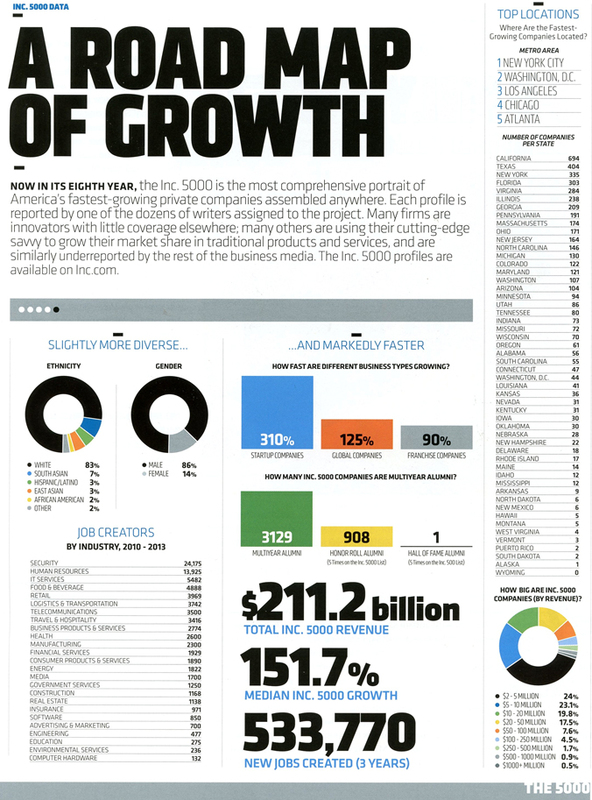 The 2015 Inc. 5000 was unveiled online at www.Inc.com and with the top 500 companies featured in the September issue of Inc. The median growth rate was 151.7% with a total revenue of $ 211.2 billion. They’ve collectively created 533,770 jobs. Complete results of the Inc. 5000, including company profiles and an interactive database that can be sorted by industry, region, and other criteria, can be found at www.inc.com/inc5000. 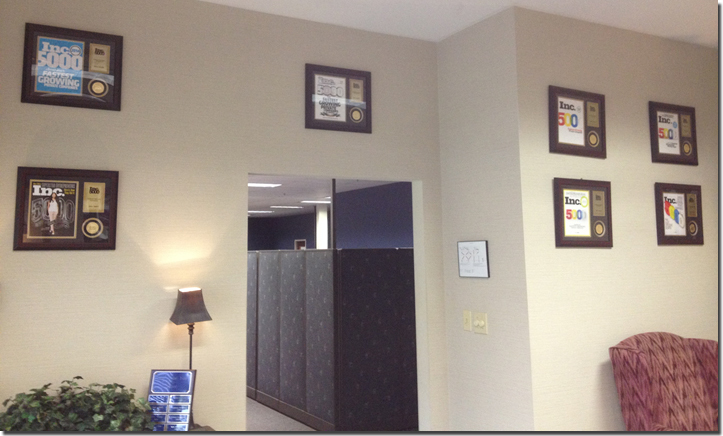 While it may appear that we are running out of wall space, we say just like we tell our clients who might have the impression that it’s possible to run out of warehouse space: You send the award, and we’ll make room for it.